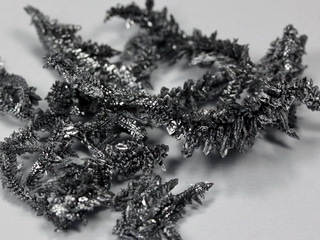 Vanadium was discovered in Mexico City in 1801 by A.M. del Rio, and was rediscovered in 1831 by N.G. 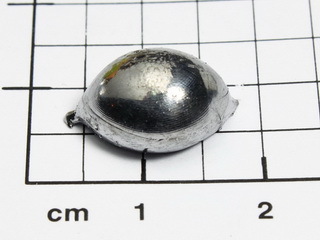 Selfström in Falun, Sweden. 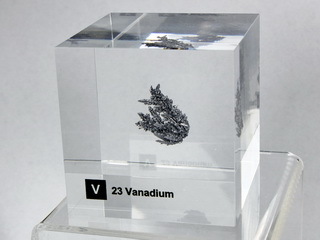 Vanadium is a soft, shiny, silvery metal which can be found in many different minerals, including some crude oils. 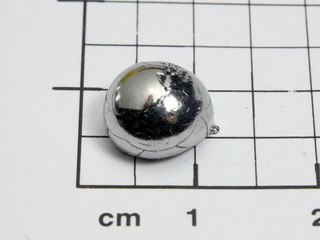 It has an abundance of 160 ppm in the earth's crust and can be isolated after conversion to the pentoxide, V2O5, followed by direct reduction with aluminum. 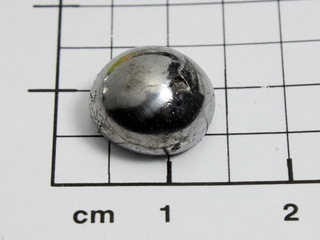 High purity metal can be obtained by the van Arkel process in which the iodide is decomposed on a hot filament under vacuum. 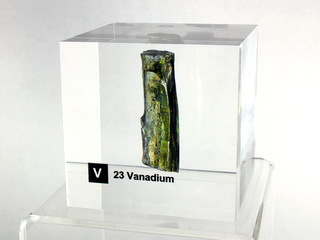 Pure vanadium resists corrosion due to the formation of a protective oxide film on its surface; it is attacked by concentrated acids but not by fused alkalis. 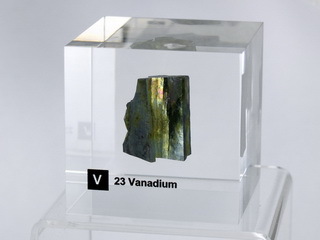 The principal use for vanadium is as an alloying constituent, particularly in steels where it is introduced as ferrovanadium, an alloy of iron and vanadium. 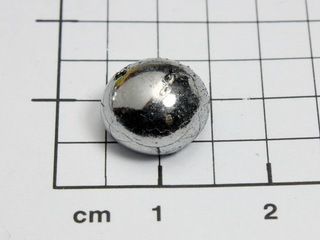 The addition of vanadium to steels removes occluded oxygen and nitrogen, thus improving the materials' strength. 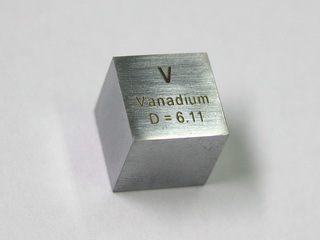 A typical vanadium content would be 0.5% max. 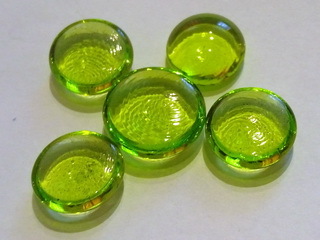 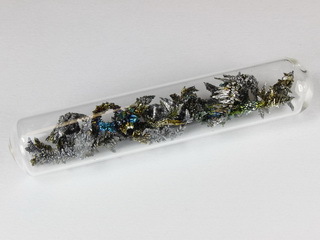 Nice Vanadium 4+/5+ doped glass bead NEW!